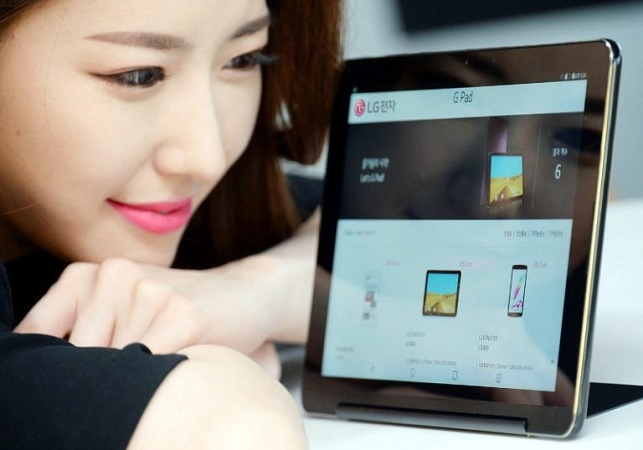 Keeping up with the success of the G Pad series, LG has now launched the LG G Pad III 10.1 tablet in Korea. LG has announced the launch of the LG G Pad III 10.1, which is the company’s latest 4G-enabled tablet offering with a built-in kick stand that can be adjusted up to 70-degrees in 4 modes. The device has a massive 10.1 inch IPS display with resolution of 1920 x 1200 pixels. The tablet is powered by a 1.5 GHz octa core processor with 2 GB of RAM and 32 GB of internal storage. The LG G Pad III 10.1 has a 5 MP rear facing auto focus camera. There is also a front facing 5 MP camera. The device runs on the Android Marshmallow version with a massive 6000 mAh battery. The tablet has USB Type-C support with 4G LTE connectivity. The handset is priced at 429000 Won (approx. Rs. 25000) and is available in black colour.